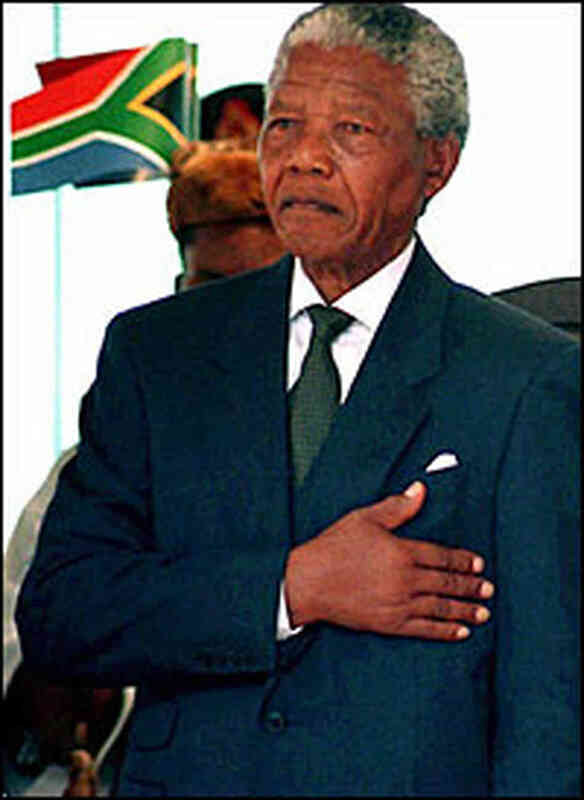 When I heard of the death of Nelson Mandela (age 95) I was transported back to another era and some uncomfortable images from the past. I could write an article on the history of apartheid and Mandela’s imprisonment for 27 years on Robben Island but I will leave that to the official historians. 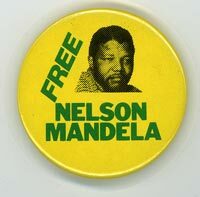 I won’t indulge in a flowery tribute, that will no doubt be covered by insincere politicians with selective memory loss that have forgotten that they didn’t actually support Mandela and his cause at the time. The revisionists are out in force, rewriting their relationship to “Madiba”. Although I had from an early age been curious about other races, in the 1970s this was stimulated initially through film as I was brought up in Hartlepool, a distinctly white town where I had few encounters with people of other ethnicity. I remember with fondness a happy but short-lived friendship with Rashmi of Indian origin (the only Asian girl in the entire school) who was whisked off to Darjeeling at the first signs of adolescent hormones. The only multicultural event of any note in my area was the annual Billingham folk festival where dancers from around the world gathered to perform once a year. Britain in the ’70s was a place where you could be evicted from a public building for being in an interracial relationship (I was told to leave a pub in no uncertain terms) ridiculed for being in the company of Coyde, a young black doctor. We could have stayed and protested but was it worth him risking a beating on a social night out? In the ’80s I moved to Newcastle, although a city, blacks were few and far between at the time. I shared a house with Nick and John. Nick was an aspiring guitarist who made the walls of the property shake with his medley of Jimmy Hendrix songs. He was just 17 and his claim to fame was being the ” the only black kid in Ashington” or Ash-n-tn in local dialect. He took care of me for a few weeks after a bad car accident when I was temporarily immobile and used to confide the isolation he had felt living in rural Northumberland, like a fish out of water with no black role models locally to follow. He talked of Nelson Mandela who gave meaning to Nick’s own personal experience of prejudice. Then there was John, who wanted only to “blend in” but found it rather difficult being 6ft 8 and in his own words a “black beanpole” guaranteed to turn heads wherever he went. We would talk into the early hours of the morning about this wonderful society we would create where all were equal and black guys wouldn’t constantly be apprehended on the street. This was a time of controversial “sus” law, a form of racial profiling where black men were regularly stopped and searched “on suspicion”. We protested the sus law as anger grew at the unfairness of this legislation. This alongside the frustration of high unemployment in the black community culminated in the 1980s race riots in St Pauls, Bristol in 1980 and in Brixton, London, Toxteth, Liverpool, Hansdworth, Birmingham and Chapeltown, Leeds in 1981. The effects of racial discrimination reared its head again when I met a young black girl called Angie at a sociology class that same year. On the first day of the course I invited her to join me for lunch at the college cafeteria. I was stunned when she was abusive to me, I stood my ground and asked her what the hell she thought she was doing being so rude. She apologized and it turned out that on her own admission that Angie had become quite a bully due to constantly being racially abused at school. We become good friends. I recall one summer Angie went away to Nigeria and when she returned did so with a new name, her African name, Ngozi Onwurah. She brought me back a beautiful brightly coloured local outfit and begged me to wear it when she wore hers. I needed no persuasion as it was lovely but I guess looking back a white girl wandering the streets of Newcastle in an African outfit might have seemed somewhat unusual. I was very proud of my old friend when she went on to became the first Black British female director of a feature film with Welcome II the Terrordome (1995). All her works were to feature strongly ethnicity, gender and Black History. Ngozi empowered herself through the screen. Following Mandela’s death, it felt important to reconnect to the past and I did so by playing anthems that symbolized the struggle for racial equality. 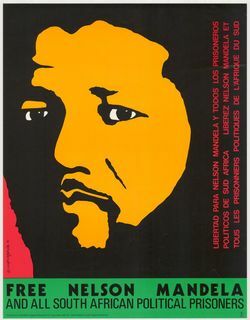 Here I was back in time with Paul Simon’s Homeless featuring LadySmith Black Mambazo and UB40′s Sing our own Song from the 1988 Free Mandela Concert. Then on to the Specials ( a “two tone” band breaking down the walls of racial discrimination) singing Nelson Mandela. The words emersed me in old memories and the hopes we once had of a racially harmonized future. 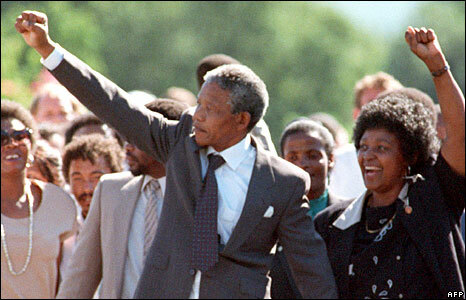 I remembered pure joy as I watched Mandela take his first steps to freedom, hand in hand with Winnie in 1990 and the elation when he was elected President of South Africa in 1994. I have focused on the influence of Mandela on black friends and myself in this article but he is also an inspiration for diverse communities around the globe. Although there have been many positive changes over the years regarding Britain’s race relations, this is not a time to be complacent. Muslims now increasingly suffer the brunt of surveillance, racial profiling and discrimination. They are placed on “no fly lists” and “kill lists”. British citizen, Shaker Aamer and others languish in Guantanamo, detained without trial, cleared for release yet remain behind bars. 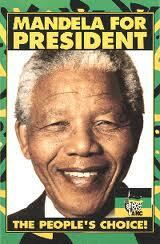 Let us honour Mandela by reviving our awareness of ongoing discrimination and injustice. Madiba’s passing must act as a wake-up call to continue our fight for equality for all. Carol Anne Grayson is an independent writer/researcher on global health/human rights and is Executive Prod ucer of the Oscar nominated, Incident in New Baghdad . She is a Registered Mental Nurse with a Masters in Gender Culture and Development. Carol was awarded the ESRC, Michael Young Prize for Research 2009, and the COTT ‘Action = Life’ Human Rights Award’ for “upholding truth and justice”. She is also a survivor of US “collateral damage”.